Men in colorful hats known as Dhaka topi and women in saris no longer seem like mysterious foreigners on Burlington's North Street. Passersby are just as likely to see New Americans dressed in the style of their Himalayan homelands as they are to see lifelong Burlingtonians in jeans and T-shirts. Most of Vermont's residents from the "roof of the world" are ethnic Nepali who came here from Bhutan after 2008. The Burlington area is currently home to 1,653 Nepali Bhutanese, said Matt Thompson, program coordinator for the Vermont Refugee Resettlement Program. 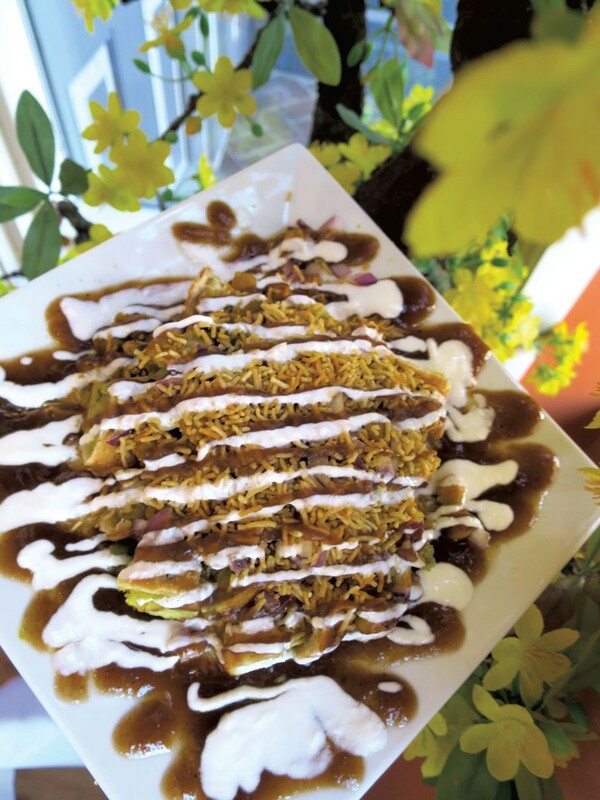 It's a sizable community, but even the Seven Days food team was surprised to realize this spring that the Queen City now boasts five Himalayan restaurants. Thompson added that not all Nepali, Bhutanese or Tibetan Vermonters are refugees. Many emigrated on their own well before 2008, and a mix of immigrants and refugees own the restaurants and markets that have popped up in Chittenden County. The businesses are meant to feed fellow expats while introducing the non-Himalayan community to their native flavors. Sherpa Kitchen Restaurant was the first such restaurant to open in Burlington, in 2012. At the time, food critic Alice Levitt gave it a mixed review, but the cuisine has proved popular with local diners. Now Sherpa Kitchen has a raft of new competition. Levitt and Hannah Palmer Egan visited all five eateries to find out what they offer and who does what best. We arranged these mini reviews in order of the restaurants' openings. When Lakpa Lama and Doma Sherpa decided to open a Himalayan restaurant, they were trekking into unknown territory. Would Burlington embrace a taste of the Asian high country? The answer turned out to be yes. In the four years since it appeared, Sherpa Kitchen has become a downtown staple for college students and locals of all stripes. And now, with a spate of openings of new central Asian eateries, it's the benchmark against which all others are measured. With its ample windows and soaring ceilings, its warm orange walls and cozy booths, Sherpa is a comfortable place to while away an hour over a pot of tea or an aromatic stew. And to dine here is to experience some of the warmest, hardest-working hospitality in town. I didn't sit down for my visit last week, but my bulky take-out meal began with combination momos — dumplings stuffed with savory fillings of vegetables, chicken and beef. The beef momos flooded my sinuses with cardamom and cumin, while the ones packed with carrots, legumes, chicken and onion were pungent with turmeric. All found a beautiful match in the light tomato sauce on the side. A small plate of samosa chaat — a popular street food from Uttar Pradesh, the Indian region bordering Nepal — brought potato-stuffed pastry pockets fried to a deep, golden crisp, then cut into pieces. These were buried in a jumble of chickpeas, doused in yogurt and tangy tamarind sauce and scattered with toasty crumbled noodles. It was a hearty, flavor-packed snack. A container of Sherpa thukpa — noodle soup — sent the steaming aroma of ginger across the room the moment I opened it. The clear broth was swimming with hand-cut noodles, carrots and greens, its lightness balanced by the musky brown hunks of lamb. The soup was hearty but not heavy. We made our way through the dishes, each lovelier than the last, and finally arrived at the chicken tikka masala. This creamy, bright tomato-tinged curry is one of the restaurant's most popular dishes. Though many believe the dish originated in India, it's actually native to Nepal. With tender cubes of chicken stewed simply with mushrooms, carrot and the spices of the central Asian steppe, Sherpa Kitchen's version was as authentic, and wonderful, as any I've ever encountered. We didn't order dessert, but a mango lassi — basically the liquid essence of that fruit, smoothed with sweet, creamy yogurt — made for a magnificent, filling finish. On a steamy afternoon last week, Namaste's picnic seating was empty, awaiting cooler days. But inside, a steady lunch crowd sipped icy cups of Vietnamese coffee and dug into heaping plates of noodles and foot-long banh mi, attended by a single server. 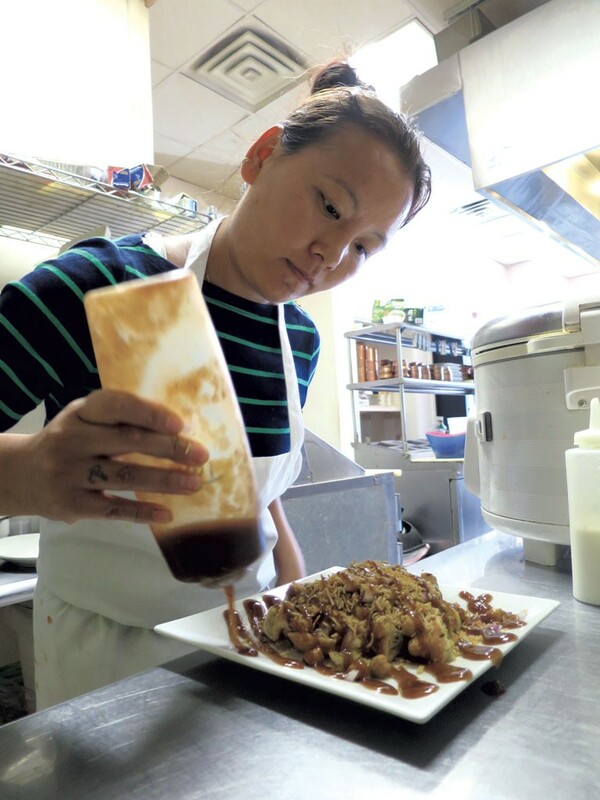 Thanh Pham and Bishnu Gurung opened their second restaurant in Burlington's New North End this February as a natural outgrowth of the market they run next door. It was also the couple's fifth Chittenden County food business in five years. 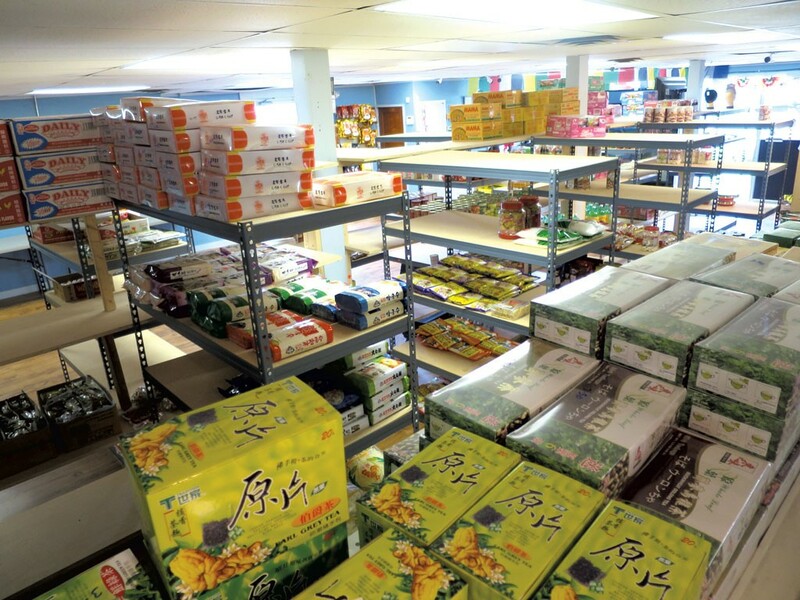 Though they've sold several of those, they continue to run another storefront by the same name in Winooski and are cofounders of the Namaste Community Center on Malletts Bay Avenue. 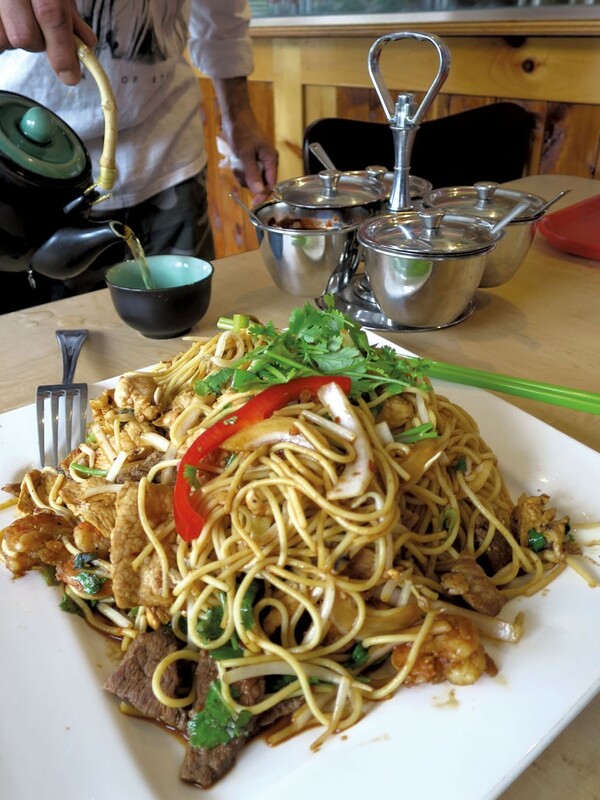 As in Winooski, Namaste's Burlington menu presents Vietnamese standards such as pho and banh mi alongside a smattering of Nepali bites. Yet much of the food seems vaguely Asian — like, say, the love child of a Nepali woman and a Vietnamese man. And that's exactly what it is. The couple uses flavors and formats in loose and playful ways, and their nondogmatic approach to cooking reminds diners that a menu reflects its makers' creative impulses as much as their native traditions. Hence, spring rolls ($3.45 for shrimp and pork) weren't the cool little bundles you'd expect from a Vietnamese place. Instead, Pham rolled strips of pork and shrimp around a thick tangle of rice noodles, then tucked it all into clear wrappers for a burrito-size package. Though mostly noodles, the rolls were in keeping with the lightness of their original inspiration and made a fine vehicle for the hoisin and Sriracha that came alongside. 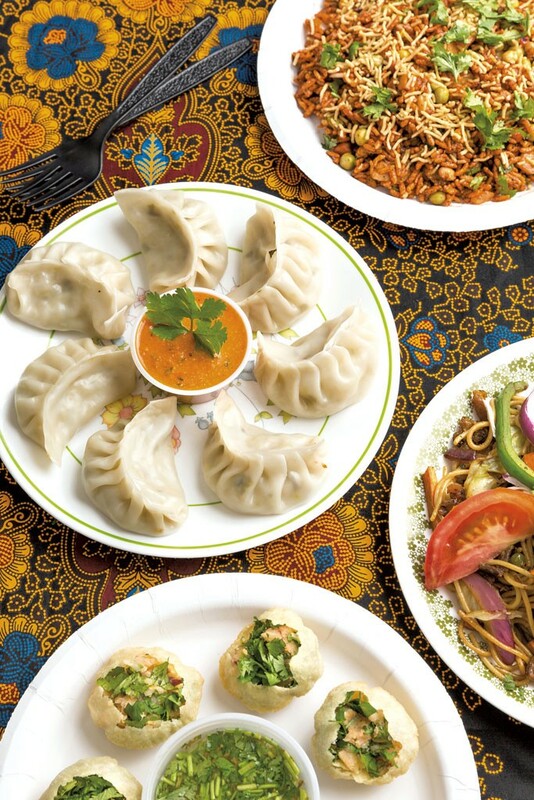 Dumplings at Namaste take different forms on different days, but they're generally not the purse-shaped momos of Gurung's mountain homeland. When he has time, Pham makes the noodle pockets himself, but he often buys premade ones that he considers of superior quality. They might be Thai, Taiwanese, Chinese or Vietnamese, depending on availability. My table's half-moon folds were wan and steamed to the point of blistering (next time, I'll order them fried). The best thing about the vegetable ones was the accompanying herb-spangled tomato-and-chile salsa. The pork dumplings — oozing with savory, piggy juice — were also overcooked but held together better and made nice with that gorgeous spicy sauce. Other dishes make liberal use of American ingredients. Pham makes his lo mein — a take on the stir-fried wheat noodles common on Chinese American menus — with regular spaghetti, sautéed with sesame oil and a blend of oyster, soy and peach sauces. The noodles were barely sweet and a bit nutty. Diced scallions added just enough zing, and the beef was tender and, well, beefy. And did I mention the portions? Crazy big: For $5.75, the "small" plate could have sated four people on its own. Like the lo mein, Namaste's Nepali-style chow mein — a staple of the Himalayan high country — was made with spaghetti. It was one of the few Nepali dishes on the menu, and by far the best bite I had during my visit. Rich with tomatoes and fragrant with lemongrass and ginger, the house-special version packed more heat than the Chinese-style noodles and was chock-full of shrimp, beef and chicken. Hefty slivers of onion and scallion cut through the grease, while peppers added a touch of sweetness. Again, $7.99 brought an ample portion. But the real showstopper was the banh mi. A pillowy but crisp French roll, spread with a proper layer of chicken liver pâté, cradled cilantro and thick slabs of juicy, slow-roasted pork belly roll. It was sealed with a bright-red gel that remains a chewy mystery — though Pham did reveal that sugar is an ingredient. Though I missed the hearty, cucumber-carrot crunch of a typical banh mi, at $3.50 for a 12-inch sandwich that was still solid the next day, I wasn't about to complain. Looking for a relaxed dining experience? Look elsewhere. Nepali Dumpling House is really just the back counter of a crowded little store. If not for the menu posted out front, you might miss the prepared food amid the dense stock of Himalayan women's jewelry and dresses for sale in the building that was previously home to Cool Runnings and African Safari Store and Deli. It's a mistake to overlook the treats you'll see on the shelves and in refrigerators on the way back to the kitchen, though. A variety of sweets have been shipped up from Guru Kripa Foods in New York. Crisp jalebi need only a zap in the microwave to assume their intended crisp, funnel-cake life. Burfi, a crumbly confection in a variety of flavors such as rose and pistachio, practically singes the taste buds with sugar. Owner Goma Khadka speaks confident English, but in his absence, ordering may take some effort for those who don't speak Nepali. The international language of pointing generally works. Or just let the ladies in the kitchen (including Khadka's wife, Ratna) do their thing. The momos are so tightly packed they seem ready to burst. The mild braised chicken in mine actually did spill out of its slippery wrapper. That didn't stop me from dipping it into the tomato-cilantro sauce on the side, which was spicy — after multiple inquiries from Ratna Khadka about whether I really wanted it that way. "Yes, just the way you eat it," I assured her. The result was fiery but not sweat inducing. Diners who might feel the burn can choose instead to eat the dumplings with the cold, aromatic broth provided on the side. The goat-curry rice on the menu wasn't available when I visited. Instead, I carbo-loaded with an unexpectedly hearty "small" order of vegetable chow mein. The skinny, al dente noodles were studded with carrots, cabbage and peas, then showered in bright-purple onions and green cilantro. The pasta was spicy and unexpectedly rich, though not as complex as the version at Dharshan Namaste. A salad called chat patey was far more exotic. Saffron-orange rice mixed with, well, everything, including a veritable buffet of legumes, recalled quirky Indian street food. Appropriately, one of India's most popular cart snacks, panipuri, was a special on the day I visited. The tiny fried-bread balls didn't come with the usual mix of chutneys, just a mound of lightly spiced potato salad. Though not quite what I expected, it was a hit with my office mates. 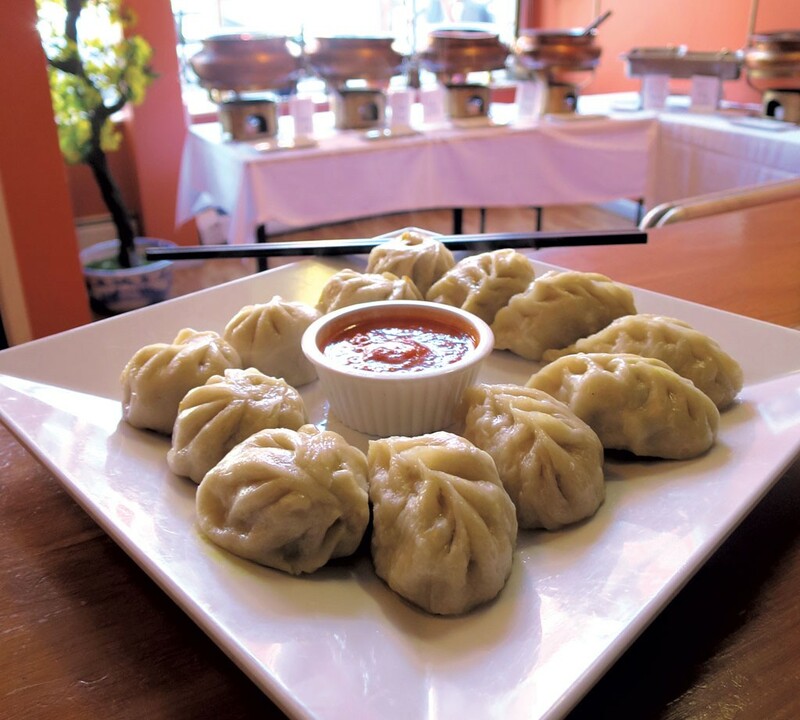 Taking risks with the unknown pays off at Nepali Dumpling House. None of the items I ordered cost more than $5, so you can afford a disappointment or two. And you may be more likely to get a pleasant surprise. All international restaurants are like living museums. When we sup on a cuisine not our own, we learn a little about another culture. Central Market, which expanded from its Winooski store to Burlington in April, takes the education to another level. Unlike its original location, this Central Market has a dining room covered in Nepali artifacts, complete with explanatory labels. In one corner rests a pair of lotas — ceremonial water vessels used for the ritual washing of corpses, the tag explains. Appetizing. Perhaps a bit more apropos is a hammered-brass khadkura, described as a giant cooking receptacle that's often included in a bride's dowry. But no tchotchke imparts as much information to diners as the restaurant's expansive menu does. Nepali and Indian dishes share space here, and many overlap. The poori, which most of us associate with Indian fare, is made in the style of Nepal. The petite flatbreads, pimpled with air bubbles, are far denser and chewier than the orbs you typically get at an Indian restaurant. Service at Central Market is friendly but disorganized. The vegetable curry the menu promised along with my poori never arrived, and I saw another table receive the wrong food. Just paying for my meal required the involvement of several people. But the food I ate here was the best of the bunch I sampled for this story, so I will shrug, keep a sense of humor and return for more. An open mind aided in my enjoyment of the Nepali lamb kebab. Though it was described on the menu as marinated meat, what I got was juicy ground-meat slices — not unlike an Indian seekh kebab, but studded with cilantro and sweet red pepper. It wasn't what I expected, but the piquant Himalayan meatloaf, served under a thick blanket of sautéed carrots, onions and peppers, was thoroughly lovable. So were the fried chicken momos, each bite of which burst with ginger. The accompanying tomato sauce was light on flavor, but the crisp dumplings didn't need much support. The most unassuming dish packed the biggest punch. Identified simply as "chicken soup," the rich, oily broth was dark red with a homemade spice mix heavy on turmeric. It combined a dash of fire with every bit of comfort one might expect from a Jewish grandmother's creation. I cooled the tingle on my lips with a can of "badam drink," grabbed from the store's beverage case. The milkshake-thick almond milk, flavored liberally with cardamom and saffron, served as a disarmingly sweet dessert, too. Not that I didn't also hit the aisles for some subcontinental cookies and snacks to take home. 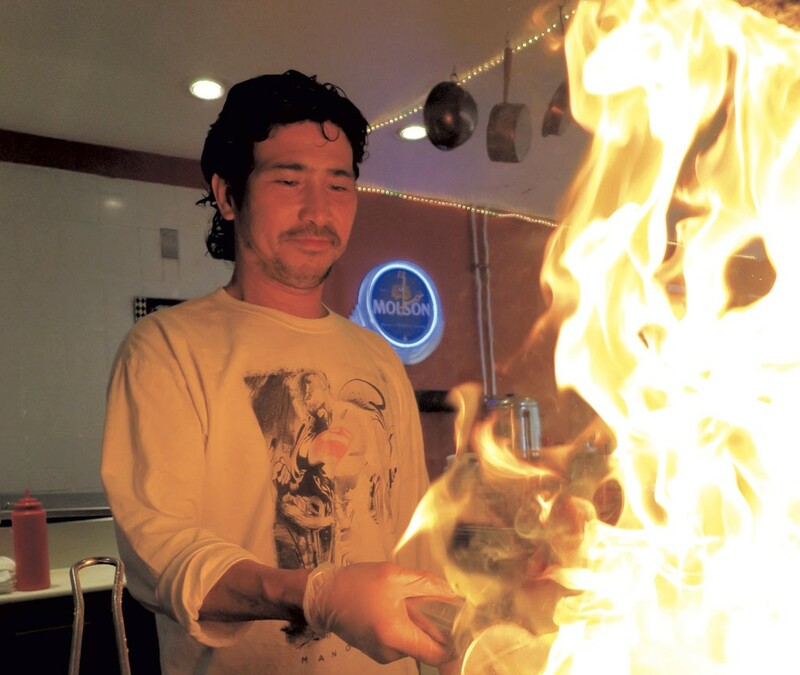 I first encountered restaurateur Tenzin Dorjee at his Plattsburgh Himalaya Restaurant in 2011. At the time, he said he hoped to open a Burlington location the following year. It ended up taking him an additional two years to find the perfect site: the former Madera's Restaurante Mexicano & Cantina at the bottom of Main Street. When it opened in May, Dorjee's Burlington restaurant revealed a space transformed with prayer flags, paper lanterns and photos of people from the countries its cuisine represents. Dorjee's mixed heritage informs the pan-Himalayan menu. Half Tibetan and half Bhutanese, he considers Nepali his first language, thanks to a native nanny. He spent much of his life attending school and working in India. The restaurant follows suit in its diversity. 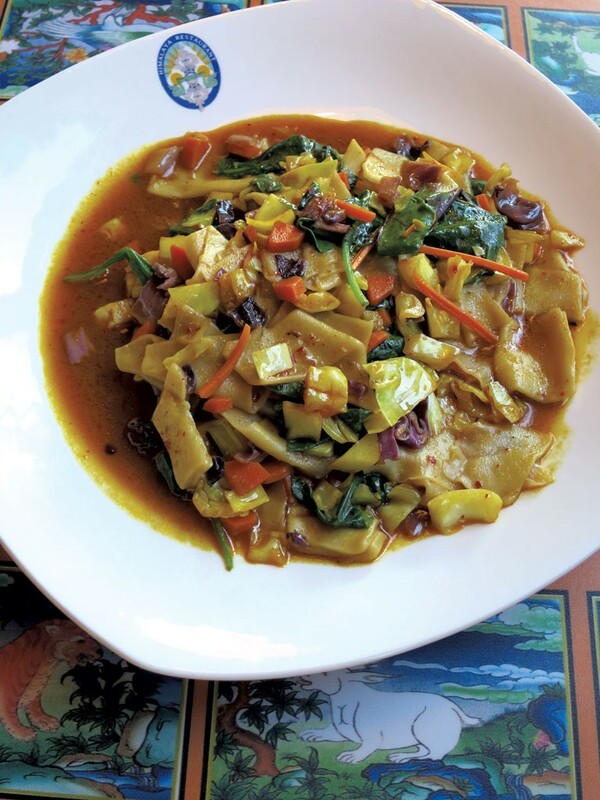 Sections of the menu are devoted to Tibetan, Nepali and Bhutanese food, as well as to appetizers and soups that combine specialties from different countries or span the entire region. 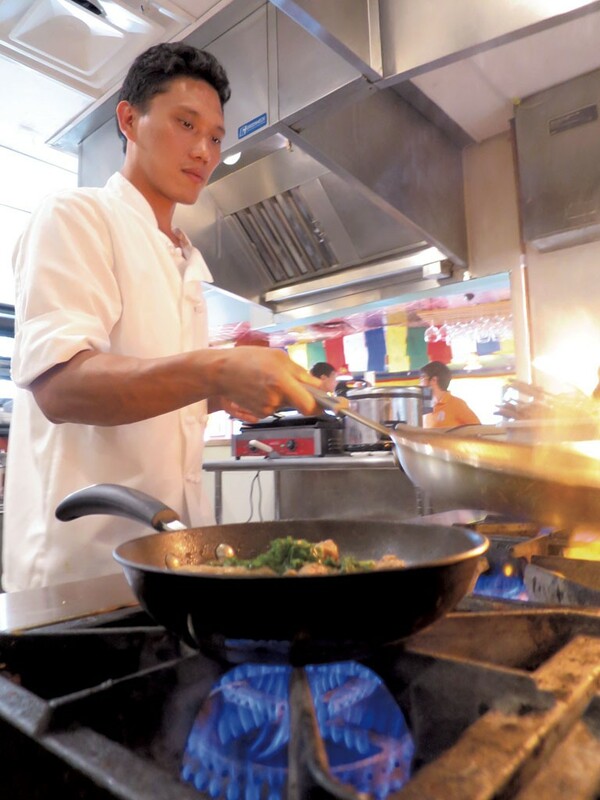 Dorjee hopes to introduce Indian dishes "slowly, down the road," but the current menu offers hints of what's to come. The aromatic dal soup, for instance, would be at home in any Indian restaurant. It's surprisingly rich, combining lentils with a blend of garlic, onion and tomato. 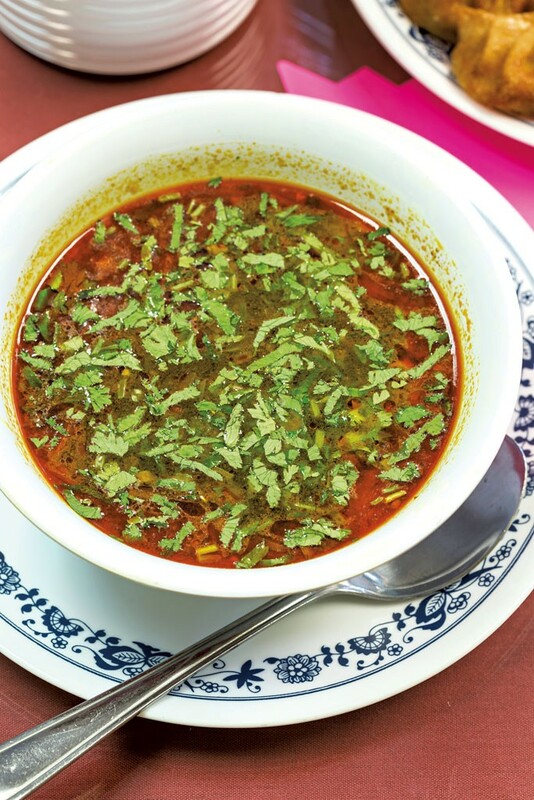 The soup is best paired with a paratha, a buttery flatbread that's crisp on the outside and soft and stretchy within. Lunches, composed of curries and noodles, mostly fall in the $10 range. But dinner prices make it clear that, unlike the market-based restaurants that cater to Burlington's immigrants, Dorjee's is aimed at better-heeled Americans who can afford local and regional ingredients. A dinner plate of Bhutanese tsipsha paa rings up at $18.25. It consists of a mound of white rice and three pork ribs braised in a spicy red sauce studded with finely chopped greens. The locally grown vegetable changes seasonally, and the pork is hormone-free. Those with big appetites would be advised to try the Tibetan sautéed thenthuk. The homemade noodles are also available in a vegetable-filled soup. But the sautéed version has plenty of veggies and flavor — it's become something of a cult item among my vegetarian friends. 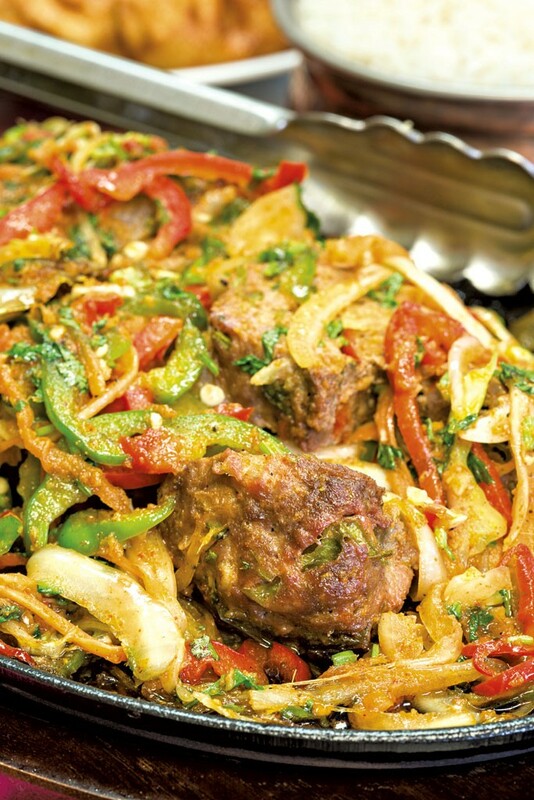 Created by Tibetans in India, the noodle dish features more spice than most traditional Tibetan foods do. As with all entrées at Dorjee's, the server asks diners where they want their spice level, between one and nine. For me, a five was exactly what I expected, with just a hint of burn that wouldn't offend most westerners. An eight on the tsipsha paa was significantly hotter, and the chile left me craving bite after bite. No matter how hot you like your thenthuk, the hand-cut noodles are hard to resist. Spinach, carrots and cabbage add crunch to the pool of dark-red sauce. For an extra $2, diners can add chicken, beef or pork, which contributes yet another texture to the satisfying mix. There's no dessert at Dorjee's. As the owner explained in May, "Dessert is a luxury. In that area, people are grateful for the food itself." 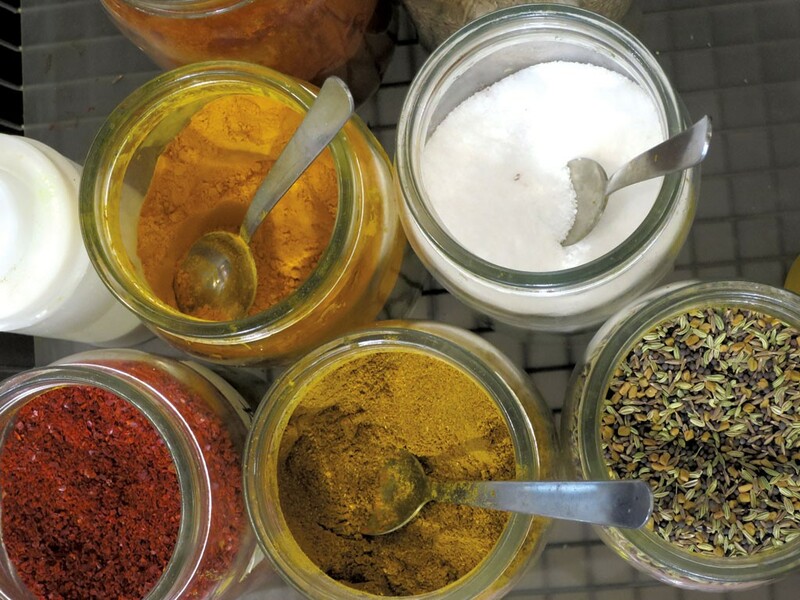 And Vermonters, whether hailing from the Green Mountains or the Himalayas, are sure to be grateful for their newfound collection of spice-scented dining options. The original print version of this article was headlined "Fire in the Mountains"